Written pseudonymously as "A Square", the book used the fictional two-dimensional world of Flatland to comment on the hierarchy of Victorian culture, but the novella's more enduring contribution is its examination of dimensions. This masterpiece of science (and mathematical) fiction is a delightfully unique and highly entertaining satire that has charmed readers for more than 100 years. The work of English clergyman, educator and Shakespearean scholar Edwin A. Abbott (1838-1926), it describes the journeys of A. Square, a mathematician and resident of the two-dimensional Flatland, where women-thin, straight lines-are the lowliest of shapes, and where men may have any number of sides, depending on their social status. Through strange occurrences that bring him into contact with a host of geometric forms, Square has adventures in Spaceland (three dimensions), Lineland (one dimension) and Pointland (no dimensions) and ultimately entertains thoughts of visiting a land of four dimensions—a revolutionary idea for which he is returned to his two-dimensional world. 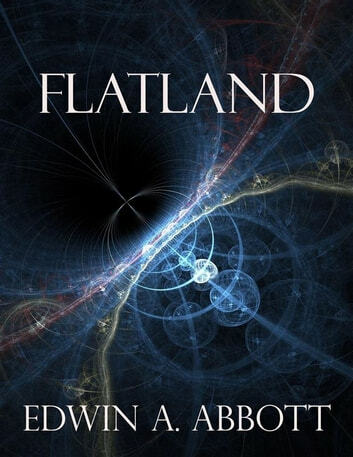 Charmingly illustrated by the author, Flatland is not only fascinating reading, it is still a first-rate fictional introduction to the concept of the multiple dimensions of space. 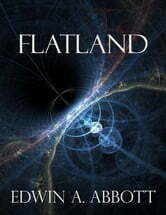 Several films have been made from the story, including the feature film Flatland (2007). Other efforts have been short or experimental films, including one narrated by Dudley Moore and the short films Flatland: The Movie (2007) and Flatland 2: Sphereland (2012).